Hello guys! 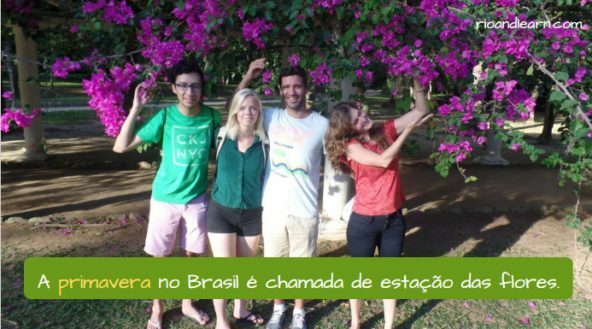 Today in our Dica, let’s talk about the Seasons in Brazil! In Brazil, the seasons are not as defined as in other countries since we have a predominant Tropical climate. In Rio de Janeiro, for example, we have a hot weather almost all year. From March 21st to June 20th we have Outono, which is very popular because of the leaves falling down to the ground. Outono is also known in Brazil as Estação das Frutas (Fruits’ Season), because it’s harvest season and some of the most popular fruits in Brazil are easy to find during this season, such as: banana, apple and lemon. 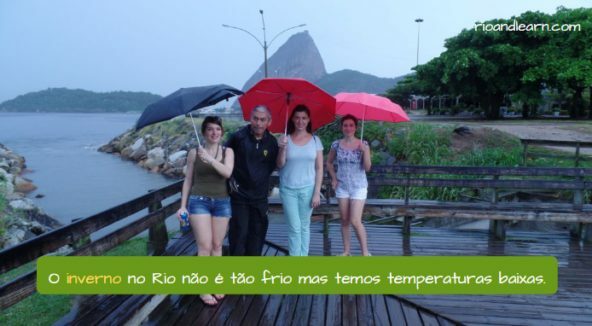 From June 21 to September 23 it’s Inverno, and in Brazil, specially Rio de Janeiro is a little different. Since we have hot weather all year, during this season the temperature goes down but not very much. People call it Friozinho Carioca and most definitely the best time to grab a cup of coffee and have some sweets at Confeitaria Colombo! From September 23 to December 21 it’s Primavera in Brazil, also known as Estação das Flores (Flowers’ Season), the best time to find flowers for your loved one. Most people prefer this season for walking around the city, getting in contact with nature and visiting many different places, Jardim Botânico is one of these places. From December 21 to March 21 it’s Verão, the hottest and most popular season in Rio de Janeiro and Brazil. This is the best time for those who enjoy the beach, tanning, playing sports outdoors or activities altogether. Activities such as Stand up Paddle Surf, Beach Volley or Football at the beach are very common. So these are the Seasons in Portuguese! What’s your favorite season? What kind of activities do you like doing in each of them? 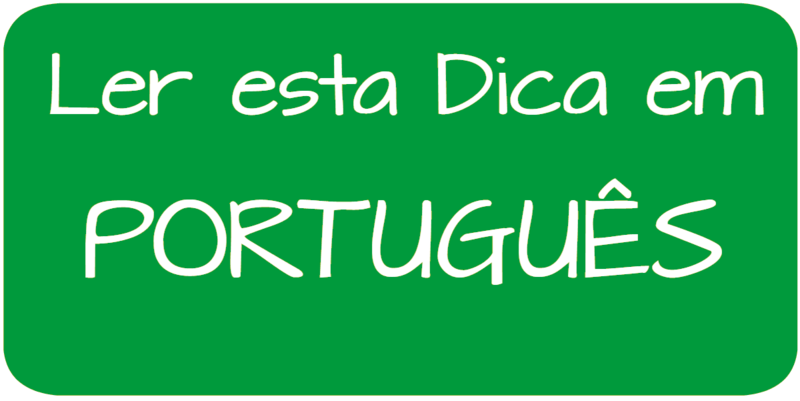 Tell us and we’ll see you on our next Portuguese lesson! Also, don’t forget to like us on Facebook! Hugs from Rio de Janeiro! 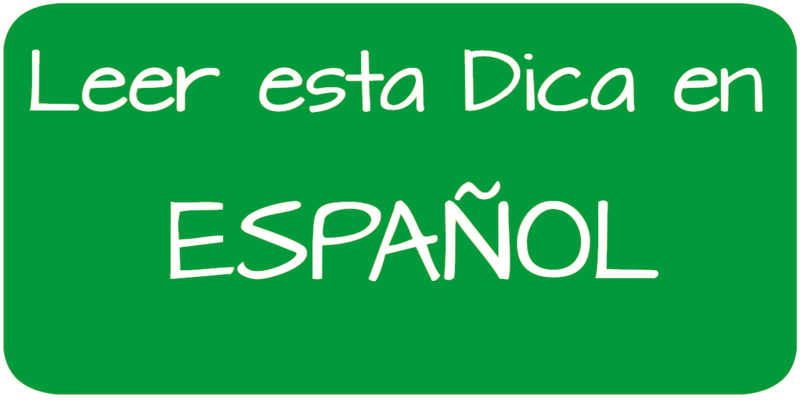 Get free Portuguese lessons. 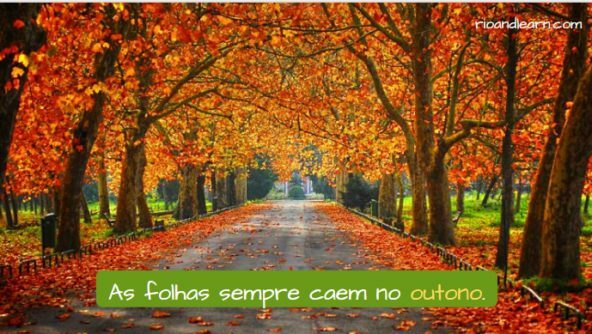 Subscribe to A Dica do Dia and get short, daily lessons in Portuguese completely free.